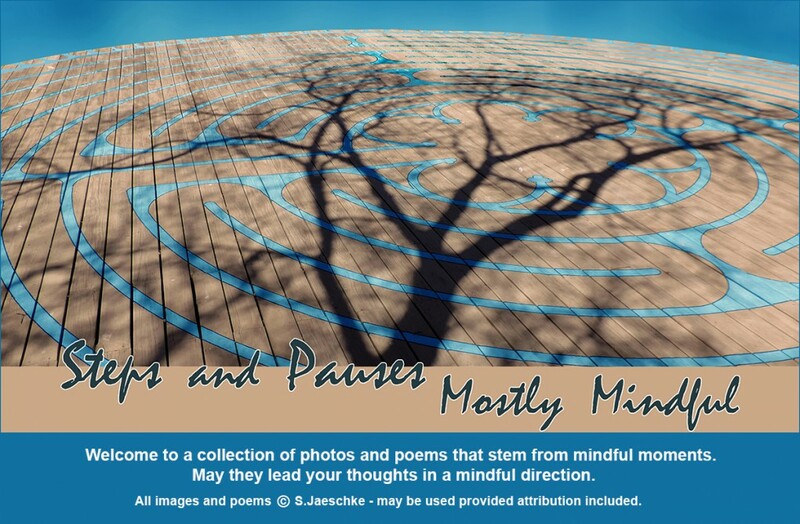 Posted on 2018-11-04 by Jazz Jaeschke	This entry was posted in Hollow Beauty and tagged Cloudcroft NM, Forest, Mindfulness, Photo Collage, Poetry. Bookmark the permalink. Wow! This really resonates. The unexplainable demise, the flowering, the magnetism. Beautiful. Where in NM do you go? Thanks, VJ – magnetism is a good tag for that tree. We go up on a mountain near Cloudcroft NM in the Lincoln National Forest … primitive …no water, no electricity … for the annual Gathering Of Circles ,,, usually about 100 people. Altitude is 9000 ft, so not hot. Solar panels recharge our batteries, although some years there isn’t that much sunshine. It’s named Cloudcroft for good reason! But drop down a few thousand feet and you’re in Alamagordo, White Sands – HOT in the summer but beautiful at dawn and sunset. And that’s the closest access to a real grocery store. The textures of both life and death come through in your words. And that tree is fascinating. Thank you. Yes, indeed fascinating. It won’t last – my encounter timing was sheer luck. I sat in the rain with this tree, unable to walk away. Tactile connection, holding a chip in my hand – powerful. Gorgeous, Jazz! This is the picture of how death gives. It reminds me of a short and powerful book written by a Catholic priest and mystic named Henri Nouwen, on the idea of “dying well. I believe it was called, Our Greatest Gift. Thank you – Nouwen’s “dying well”, yes: tree providing food to various insects providing food to various predators. Spiritual food for the likes of me. Death (of tree) preceded me – I was sitting with the corpse, observing its return to the elements. Something we don’t do (in this country) with a human corpse. Beautiful tree! A rare sight! 🙂 My mother-in-law had a couple of hollow trees in her yard that had to be removed due to the danger of them falling on the house! Thank you, Tom – I felt blessed to stumble upon it. I have no clue how long this tree will stay standing – when it does crash, only wildflowers and perhaps small creatures will be disturbed. Near a house would be very worrisome! This post is beautiful, fully beautiful, Jazz. The intro, the photo and the poem – all inspiring. Thank you, Luanne. Encountering that tree was a serendipitous blessing!